Atonism has adopted strange guises throughout the long ages since it was born in and subsequently expunged from Egypt. As revealed in my books and sites, Atonist elements are conspicuous in Judaism, Culdeanism, Christianity, Zoroastrianism, Gnosticism, as well as in Masonry and Templarism. I have also shown that Atonism was a corruption of Druidism and Amenism, the ancient stellar theologies. It was also a corruption of ancient Persian traditions well known throughout the Levant. Apologists for Judaism and Christianity habitually demonize Druidism and Amenism in their works. This is inevitable given their skewed perspectives of world history. Regardless of regrettable prejudices which often serve to mar their works, a few authors inadvertently provide us with excellent insights into how cults such as Atonism secretly spread throughout the world in early times. In this section I provide excepts from the bookTerrorism and the Illuminati, by David Livingstone. The book deals with the spread of the Persian Cult of Mithras. This cult (of which Zoroastrianism, Mazdaism, Sufism and Sol Invictus were less pure variants) was prominent long before the periods of Roman imperial expansion and rise of Christianity. Although it had been a pure and noble philosophy for centuries, after the destruction of the Persian Empire by Alexander and rise of Christianity, it eventually became adulterated with spurious accretions. This was chiefly due to the need for secrecy and also due to the decadent priesthood which sought to offset the influence of Rome and Christianity. After the rise of orthodox Islam (sixth century AD) the Cult of Mithras was forced underground, and later still - like so many august traditions - it morphed into the more popular school of Zoroastrianism. After this decline we believe it was infiltrated by Setian-Atonists and used as a veil as well as a means of recruitment, particularly among the military classes. The symbolism employed by Masons and other secret societies - such as the infamous Bohemian Society and Order of the Skull and Bones - derives from Zoroastrianism, the degraded form of Aryan Mithraism. Indeed, what we know as Culdeanism and Christianity are degraded forms of both Irish Druidism and Persian Mithraism. Of even greater importance is the fact that the Mithraic cult was in fact that of his mother - the goddess Cybele. Indeed Mithras was androgynous and frequently worshiped in female guise. In Persian the word mitra pertains to females. From Cybele we get the terms Cabala and cabal (meaning secret society). 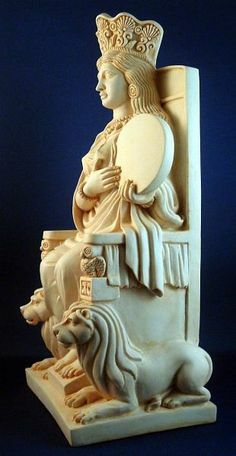 Known throughout Europe, the Levant and Asia in numerous guises and names, she was probably the most important goddess figure of antiquity, particularly to those within secret enclaves. She may have been a transmogrified version of the Persian goddess Anahita, herself the origin of Anat, Tanit, Neith and Athene. 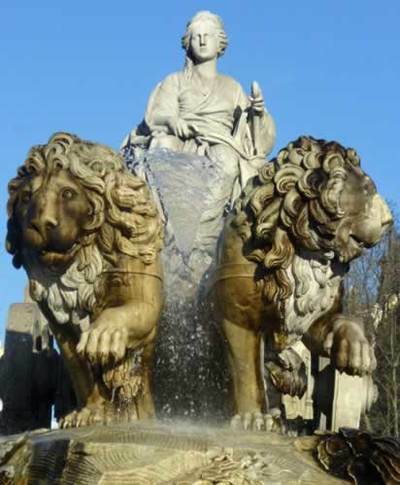 The goddess Cybele with Atonist lions and circlet or wheel, her primary emblem connoting the everlasting cycles of necessity and fate. (The name of the most ancient Egyptian goddess Taurt also connotes a circle, Tarot imagery being largely based on Persian or Aryan traditions.) The twin lions also stand for her male "cubs" or archonic offspring that we recognize as Set and Horus, Ahura Mazda and Ahriman, Jesus and Satan, Alpha and Omega. variation of the name of Cybele, goddess of the mysteries. The Biblical Magi were Persian (Aryan) mystics and astrologers. Right from the beginning of the New Testament we are given hints of the truth. Christianity's debt to Mithraism can't be overstated. The very word magic comes from the Persians. The famous image of the great solar hero Mithras slaying the bull symbolizing the old astrological "Age of Taurus." Astronomically, the image denotes the constellations of Perseus and Taurus. This movement of the sun from the sign of Taurus into Aries was also of importance to the Atonists of Egypt. Note that Mithras wears the Phrygian Cap which later became a seminal symbol of the eighteenth century revolutionary cells and parties that violently brought the Old World to ruin. These anarchistic groups were and are controlled by powerful Setian-Atonist societies operating outside of public view. The term Baphomet connotes Mit, Met or Mithra. In this case the term denotes initiation into the cult of Mithras-Cybele or a baptism into the same. The goddess behind the god is suggested by the female breasts. This iconic hybrid is clearly androgynous, and undoubtedly derives from the Persian occult tradition. The symbol of the skull has pre-Celtic origins but also derives from the first degree initiation ceremony undergone by acolytes of the Mithraic Mysteries. The skull and bones imagery was first employed by the Silesian Pirates who haunted the Mediterranean and were members of the Cult of Mithras. Later, other piratical groups adopted the symbol, and finally it appears as the emblem of the American Order of the Skull and Bones, making it obvious that this order (among others) is a branch of the Atonized Cult of Mithras. The sigil of the Skull and Bones Order includes the lodge number 322. Esoterically, this refers to March 22, the first day of Aries and Spring Equinox, a central astrological zone and festival day for Mithraists. an oath also derives from Mithraic rites, as does the military salute. Readers familiar with my work on the Irish origins of civilization will understand the connections between the Egyptian, Roman and British Atonists, and how they gained converts and worked to secure their great but insidious World Order. Livingstone traces the all-important connections between these Atonist - or as he refers to them, "Judaic" or "Davidic" bloodlines - and modern royal dynasties. He deals with the elite houses of Orontid, Commagene, Herod, Sinclair, Angevin, Lorraine, Guise, Welf (Guelph), Brandenburg, Hapsburg, Merovingian, Carolingian, Stuart and Plantagenet, etc. Of great interest were the connections between the "Jewish" Herod family, Roman Caesars and Templar-Merovingians of France and Scotland. Mr. Livingstone's book is technical and dryly written. He expects his readers to be familiar with the vast majority of his information. I hope, therefore, that the following excerpts fairly summarize the salient points of his important work. It was in the dissemination of the original Mysteries of Mithras, that we find the first coalescence of those families which would ultimately produce the leading Illuminati bloodlines. This network was centered around the House of Herod, and included an important Armenian bloodline. The importance of this Armenian bloodline figures both in their supposed descent from the Lost Tribe, and their mixed Alexandrian and Persian heritage, a hereditary Syrian priesthood of Baal, and the family of Julius Caesar. It was the coalescence of these families, at the turn of the first Millennium BC, that effectively incepted the conspiracy. And, while the trail of these familial relationships is complicated and detailed, it is essential to examine them, in order to properly understand the origin, direction and beliefs of their successors, the Illuminati. Essentially, these families were responsible for the formation and spread of the Mithraism, the most popular cult of the Roman Empire. It was this cult that remained the core doctrine of the Illuminati for centuries to come. Initially, the formation of Mithraism served a conspiracy to supplant the Christian Church. It was ultimately successful, when one of their descendants, Constantine the Great, implemented Catholicism, which was but an assimilation of Mithraism, associating Jesus with the cult of the dying-god. The cult eventually penetrated to the Islamic world to produce the heresy of the Ismailis, from which emerged the first terrorist network, the Assassins. It was the legend of contact with the Assassins with the notorious Knights Templars, during the Crusades, which became the basis of Scottish Rite Freemasonry. Initially, the cult of the heretical Magi was most prevalent in that part of Asia Minor, that is, of Armenia, Cappadocia and Pontus. Pontus was founded following the death of Alexander the Great, shortly after 302 BC. As the greater part of this kingdom lay within the immense region of Cappadocia, which in early ages extended from the borders of Cilicia to the Black Sea, the kingdom as a whole was at first called “Cappadocia towards the Pontus”, but afterwards simply “Pontus”. Pontus included not only Pontic Cappadocia, but also Colchis, and Lesser Armenia. Therefore, this cult of the Magi, which worshipped the dying-god in the form of Mithras, was most prevalent in that part of Asia Minor to which the so-called Lost Tribes had been relocated, to be later absorbed by Scythians and Medes. Commagene was a small kingdom, located in modern south-central Turkey, in what had once been part of greater Cappadocia, with its capital city as Samosata, or modern Samsat, near the Euphrates. Commagene was ruled by a dynasty known as the Orontids. The dynasty was founded by Orontes, who had been appointed by the Persians as “satrap”, or governor of Armenia. In 401 BC, Artaxerxes II, then reigning Emperor of Persia, gave him his daughter Rhodogoune in marriage. Artaxerxes II would have been the grandson of Xerxes, who according to Jewish tradition, married Esther, of the Book of Esther…The Armenian kingdom of Commagene arose in 162 BC, when its governor Ptolemy broke free from the disintegrating Seleucid Empire. Ptolemy’s son Mithradates I Callinicus of Commagene embraced the Hellenistic culture and married Laodice, a Seleucid princess. Thus, their son, Antiochus I of Commagene, who lived from 69 BC to 40 BC, could claim dynastical ties with both Alexander the Great and the Persian kings. The combined heritage found in Antiochus led to the assimilation of Mithras with the Greek Hercules, which marked the first early form of the Mithraic cult. The House of Commagene combined with the family of Herod the Great, the Syrian priest-kings of Baal, and the family of Julius Caesar. Together, they took the early symbolism of the Mithra worship of the heretical Magi, and combined it with the emerging Kabbalistic mysticism, to form the Mysteries of Mithras. Essentially, the Mithraic mysteries adapted the ancient king-worship of the Babylonians, to the worship of the emperor, as a personification of their god the Sun. Through the influence of the Commagenian dynasty, this cult retained its Persian themes, but represented its god Mithras with the physical form of their progenitor, Alexander the Great… The person through which the House of Commagene was able to enter into contact with that of Herod, in addition to the family of Julius Caesar, to produce the Mithraic bloodline, which went on to produce the leading conspiratorial families of Europe, was Antiochus IV. Antiochus IV’s great grandfather, Antiochus I of Commagene had supported Pompey against the Parthians, and in 64 BC was rewarded with additional territories. After submitting to Greek rule under the Seleucids, the Persian Empire eventually re-emerged under the Parthians, a semi-nomadic people who, in the second century BC, arose from an area southeast of the Caspian Sea. It was ruled by the Arsacids, who claimed descent from the Persian king Artaxerxes II. Through the conquests of Mithradates I and Artabanus II in the second century BC, the Parthians established control over Iran and expanded westward into Mesopotamia. Antiochus I was able to deflect Roman attacks from Mark Antony, whom he eventually joined in the Roman civil war, but after Antony’s defeat to Augustus, Commagene was made a Roman client state. This state of affairs signaled the beginning of the relationships that led to the transference of the Mithraic cult to Rome. Augustus, who ruled the Roman Empire from 27 BC to 68 AD, was the first of the Julio-Claudian dynasty, followed by Tiberius, Caligula, and Claudius, until the last of the line, Nero, who committed suicide. The dynasty is so named because its members were drawn from the Julia and the Claudius family. Julia derive their name from Iulus, or Julus, also known as Ascanius, who, according to Greek and Roman mythology, was a son of Aeneas, himself the son of Aphrodite, the Greek Venus, and the cousin of Priam. The name “Ascanius” is thought to have been derived from Ashkenazi, or Ashkuza, the name given to the Scytians by the ancient Akkadians. After the Trojan War, Ascanius escaped to Latium in Italy and had a role in the founding of Rome as the first king of Alba Longa. The founder of the dynasty, Caesar Augustus, was a Julian through his adoption by his great-uncle, Julius Caesar. The myth of the union of Jesus and Mary Magdalene was preserved to disguise a more occult secret about the origin of this bloodline. More importantly, the descendants of the Merovingians eventually intermarried with the family of Charlemagne, founder of the Holy Roman Empire, and supposedly, that of an Exilarch, or claimant to the Davidic throne, named Rabbi Makhir. It is from this lineage that all the leading lines of European aristocracy descend, a bloodline featured as the central secret of Grail lore. The Merovingians, again, came originally from Scythia, where they were known as the Sicambrians, taking their name from Cambra, a tribal queen of about 380 BC. Then, in the early fifth century AD, the invasion of the Huns provoked large-scale migrations of almost all European tribes. It was at this time that the Sicambrians, a tribe of the Germanic people collectively known as the Franks, crossed the Rhine and moved into Gaul, establishing themselves in what is now Belgium and northern France. The Merovingians are believed in occult circles to have originally been Jewish, and descended from the Tribe of Benjamin, who had entered Greece known as Cadmus and Danaaus. Certain important details of the history of the Merovingians are related in the Fredegar’ Chronicle, a facsimile of which is in the Biblioteque Nationale in Paris. Fredegar, who died in 660 AD, was a Burgundian scribe, and his Chronicle covered the period from the earliest days of the Hebrew patriarchs to the era of the Merovingian kings. Fredegar’s Prologue tells how the Sicambrian line of “Franks”, from whom France acquired its name, were themselves first so called after their chief Francio, a descendant of Noah, who died in 11 BC. Prior to their Scythian days, Francio’s race originated in ancient Troy after which the French city of Troyes was named. The city of Paris, established by the sixth century Merovingians, likewise bears the name of Paris, the son of King Priam of Troy, whose liaison with Helen of Sparta sparked the Trojan War. According to the genealogies compiled by James Allen Dow, and based largely on the work of David Hughes, a descendant of Mary Magdalene and this Jesus, Quintus Tarus, a prefect of Rome, married Argotta, heiress of the Franks, to father Merovech, King of the Franks. The most famous of all Merovingian rulers, though, was Merovee’s grandson, Clovis I, who reigned between 481 and 511 AD. Gaul was the richest and largest area of the western empire, but the Frankish tribes had not succeeded in organizing a single state, until Clovis defeated the surviving Roman forces in 486 AD. During his reign and that of his sons, Frankish power was extended over nearly all of Gaul and far into Germany. The Frankish kingdom eventually became the strongest and most extensive of the new German states, and it was the only one that truly survived into later centuries, and from it were descended the modern states of both Germany and France. It is frequently claimed by genealogists that all of European aristocracy can claim descent from Charlemagne. Less well-known, though significant for occult lore, is that Charlemagne’s descendants were intricately intertwined with those of one Rabbi Makhir, a Jewish Exilarch from Baghdad, known as Rabbi Makhir, or Natronai, who became the father of Guillaume the Gellone. 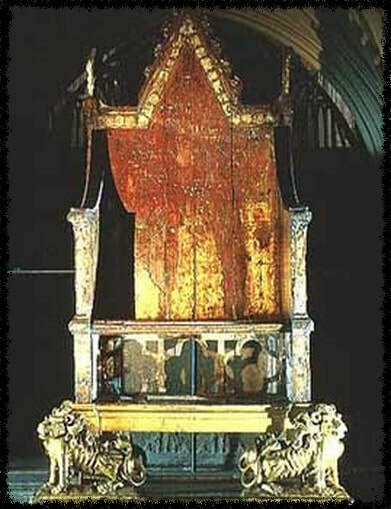 This was the important union, infusing European aristocracy with Davidic lineage, by which occult societies, and books like the Holy Blood, Holy Grail, have claimed represented the secret of the Holy Grail. Coincidentally, according to Medieval Jewish legends, one Makhir, often confused with Natronai, apparently arrived in southern France by the invitation of Charlemagne, who is said to have sent an embassy, in which a Jew, Isaac, took part, to ask the “king of Babel” to send him a man of royal Jewish lineage. In response, the Caliph Harun al Rashid, dispatched Rabbi Makhir to him…that Makhir was “close to the king and all his descendants”, as meaning he was inter-related with French aristocracy, through intermarriage, was proposed by Arthur Zuckerman, in A Jewish Princedom in Feudal France. 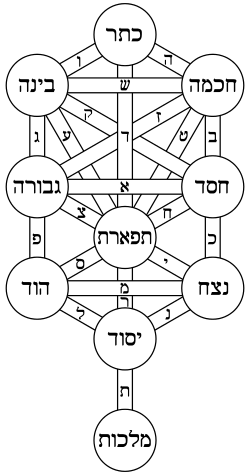 There are numerous confusing genealogies provided as to the descent of this Makhir, or Natronai. According to the research of James Allen Dow, Natronai married one Rolinda of Aquitaine. Their sons were Makhir and Gilbert of Rouergue. Makhir married Alda, the daughter of Charles Martel…According to Zuckerman, Makhir would have assumed the Christian name of Theodoric, or Thierry, and assumed the title of King of the Jews, and ruled over the independent state of Septimania in southern France, with the city of Narbonne as its capital. In the Mediaeval, romances Theirry is called Aymery, and he was the father of Guillaume de Gellone, about whom there were at least six major epic poems composed before the era of the crusades. The device of his shield was the Lion of Judah. At the height of his power, he included as part of his dominion, northeastern Spain, the Pyrenees, along with the region of Septimania. Zuckerman maintains the reference of Makhir’s descendants being “close” to those of the king should be understood to mean “inter-related”, or that Guillaume’s ancestors intermarried with those of the Carolingians. The Sinclairs, like all Norman nobility, were also descended from the Viking, Rollo Ragnvaldsson and Poppa of Bavaria. Charles the Simple, King of France, met Rollo at the castle of St. Clair, and there made him Duke of Normandy. The Sinclairs soon multiplied to such an extent that they could not all stay at the castle of St. Clair, and were given various other castles around France. However, they all went to England with the Conqueror. One Sinclair, named William, did not like the Conqueror, his cousin, so with some other discontented barons he went to Scotland. William St. Clair, like William the Conqueror, and Alain IV of Brittany, were descended from Conan I of Brittany. The two Williams were the grandsons of Emma of Normandy’s brother, Richard II “the Good” of Normandy, and Judith of Brittany, the daughter of Conan I of Brittany and Ermangard of Anjou. Robert the Bruce claimed the Scottish throne as a great-great-greatgreat grandson of David. He was also a descendant of Robert the Brus II, who married William St. Clair’s sister Agnes. Robert the Bruce was also the grandson of Walter Stewart, 3rd High Stewart of Scotland. Walter Stewart, the sixth High Steward of Scotland, played an important part in the Battle of Bannockburn. Walter Stewart then married Majory, daughter of Robert the Bruce, and their son Robert II, eventually inherited the Scottish throne after his uncle David II of Scotland died. From them were descended all subsequent Stewart, or Stuart, kings of Scotland. There are hundreds of stone carvings in the walls and in the ceiling of the Rosslyn Chapel, which represent biblical scenes, Masonic symbols, and examples of Templar iconography. There are swords, compasses, trowels, squares and mauls with images of the Solomon’s Temple. In addition to the Jewish and occult symbolism, there are also some traces of Islam and pagan serpents, dragons, and woodland trees. The fertility figure of the Green Man, a European version of the dying-god Dionysus, is to be found everywhere on the pillars and arches, together with fruits, herbs, leaves, spices, flowers, vines and the plants of the garden paradise…The remains of William St Clair, great-grandfather of the founder of Rosslyn Chapel, are said to be buried in Rosslyn, in the style of the Templars, in a grave marked by a skull and crossbones. Again, in England, the property of the Templars was also transferred to the Knights Hospitallers, by King Edward II, the son-in-law of Phillip IV of France. Edward II was married to Phillip IV’s daughter, Isabella of France. But Edward II initially refused to implement the papal order enforced by his father-in-law. Between October 13, 1307 and January 8, 1308, the Templars went unmolested in England. During this period many fugitive Templars, seeking to escape torture and execution, fled to apparent safety there. Although, after the intercession of Pope Clement V, King Edward II ordered the seizure of members of the order in England on January 8, 1308. Only handfuls of Templars were duly arrested however. But most Templars in England, as well as elsewhere outside France, altogether escaped arrest, let alone torture and execution. Jacob Rothschild, the current head of the Rothschild dynasty, has intermarried with the Sinclair family, forging an important dynastic alliance between the head family of the Illuminati, and the supposed “Grail family”. This marriage is significant, as it is an exception in the marriage practices of the Rothschilds. The founder of the dynasty, Mayer Amschel Rothschild, had ordered his sons to marry only their first cousins. The first exception was Hannah, daughter of Nathan Rothschild, who married the Rt. Hon. Henry Fitzroy, a direct descendant of Charles II Stuart King of England. However, more recently, the great-great-great grandson of Nathan Mayer, Nathaniel Charles Jacob Rothschild, Fourth Baron Rothschild, current head of the dynasty, married Mary Serena Dunn, whose mother was Lady Mary Sybil St. Clair-Erksine, the daughter of James Francis Harry St. Clair-Erskine, 5th Earl of Rosslyn. The title of Earl of Rosslyn was created in 1801 for Alexander Wedderburn, 1st Baron Loughborough, the former Lord Chancellor. The earldom was created with special remainder to his nephew, Sir James St Clair-Erskine, who was Grand Master of the Grand Lodge of Scotland, on behalf of King George IV. The Erskine family were the hereditary Earls of Mar. They are descended from Robert I Erksine, who married Elizabeth Stewart, the daughter of Robert II of Scotland, the son of Robert the Bruce’s daughter Marjorie and Robert Stewart. John 5th of Erskine was guardian of King James V, and afterwards of Mary, Queen of Scots. James V had an illegitimate child through his daughter, Margaret, named James Stewart, step-brother to Mary Queen of Scots. In 1565, Queen Mary made Margaret’s brother, John 7th Earl of Mar. Jacob Rothschild is the current head of the UK Rothschild family, having inherited the fourth baronetcy from his father, Victor, an eminent zoologist, and sometime MI5 agent and friend of KGB agents Anthony Blunt and Guy Burgess. Jacob resigned from the family’s bank NM Rothschilds in 1980, run by his cousin Evelyn, and started RIT Capital Partners. Jacob is chairman of Yad Hanadiv, the Rothschild foundation, which chairs the Jewish Policy Research, dedicated to promoting issues affecting Jews worldwide. Yad Hanadiv was also responsible for building and granting the Knesset government buildings, and the Supreme Court of Israel, which prominently features Masonic symbolism and the pyramid and all-seeing eye of the Illuminati. Jacob was a close personal friend of Princess Diana, and maintains strong personal and business links with Henry Kissinger. His country estate has been a regular venue for visiting heads of state including Presidents Ronald Reagan and Bill Clinton. Margaret Thatcher received French President François Mitterrand there at a summit in 1990. He hosted the European Economic Round Table conference in 2002, attended by such figures as James Wolfensohn, president of the World Bank, Nicky Oppenheimer, Warren Buffet and Arnold Schwarzenegger. He knows Rupert Murdoch well, having been friends since the Australian newspaper magnate first came to the UK in the 60s.